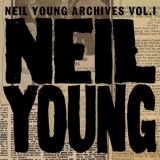 "I am the captain of the love brigade"
Neil Young (1968), The Archives Vol. 1 1963-1972 (this album) (compilation) (2009). Sorry, no matches on eBay for "What Did You Do To My Life? Neil Young". Your feedback for What Did You Do To My Life?